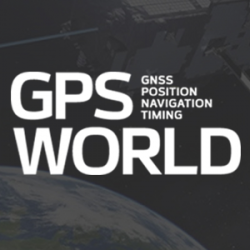 As one of the four major GNSS providers, the establishment of BeiDou Navigation Satellite System (BDS) has been steadily developed, following a three-step strategy. This integrated circuit supports simultaneous reception and processing of the GPS L1/L5, Galileo E1/E5a, and GLONASS G1 signals with 40 tracking channels. The dual-band analog RF front-end is integrated on the same mixed-signal chip as the baseband hardware, including an embedded processor to close the tracking loops: overall, a compact, low-power, and low-cost solution. A number of factors are holding the proximity marketing/indoor positioning markets back: standardization issues, consumer acceptance/privacy, retailer awareness and the technology itself. However, as one location executive put it, it may be the one way that retailers with brick and mortar stores can compete with Amazon and other online giants.